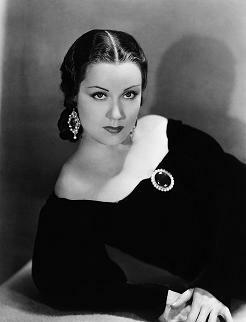 Fay Wray is regarded as by Hollywood as the first "Scream Queen". She is also best known as the Giant Monkey's Love Interest in "King Kong" (1933). 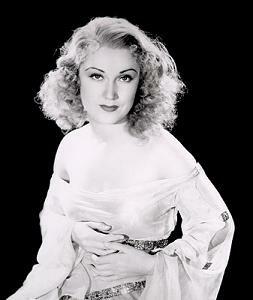 Born Vina Fay Wray on September 15, 1907 on a ranch near Cardston, Alberta Canada. Her father Joseph Heber Wray, who was from Kingston upon Hull, England and her mother Elvina Marguerite Jones, who was from Salt Lake City, Utah. Her family moved to the United States a few years after she was born. In 1912 they moved to Salt Lake City, and in 1914 to Lark, Utah and in 1919 back to Salt Lake City and then to Hollywood, California where Fay would attend Hollywood High School. After the move to California her parents divorced putting the family in hard times. In 1923, Wray (now at the age of 16) appeared in her first film "Gasoline Love" (1923) in a short historical film sponsored by a local newspaper. She landed many roles in Silent Films and Shorts throughout the 1920's. In 1926 the Western Association of Motion Picture Advertisers selected Wray as one of 13 young starlets to be a "WAMPAS Baby Stars", a group of women who they believed to be on the threshold of movie stardom. Also selected for the the "WAMPAS Baby Stars" group were Janet Gaynor and Mary Astor. The next year, 1927, Wray was signed to a contract with Paramount Pictures. In 1928, she was selected to be the female lead in the film "The Wedding March" (1928). 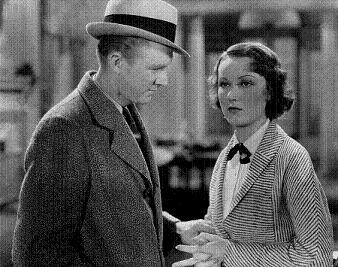 Even though this film was a financial failure this gave Wray the lead role she needed. She would make more than a dozen films for Paramount and would allow her to make the transition from Silents to Talkies. On June 4, 1928 Wray's brother, J. Vivian Wray, committed suicide by throwing himself in front of a streetcar in Stockton, California. J. Vivian had suffered from a mental disorder and was in a sanitarium but had escaped. On June 15, 1928 Fay would marry John Monk Saunders who was a screenwriter. After leaving Paramount Wray signed deals with various film companies. She would appear in such horror films as "Doctor X" (1932) with Lionel Atwill, "The Vampire Bat" (1933) also with Lionel Atwill and Dwight Frye, and she also appeared in Her first horror film was for "Mystery of the Wax Museum" (1933) again alongside Lionel Atwill. Wray would then be approached by producer Merian C. Cooper to star alongside a tall, dark, leading man for an RKO Radio Picture. She would find she was cast as the female lead "Ann Darrow" to a giant gorilla and she would be identified to this role in the classic "King Kong" (1933) alongside Robert Armstrong. With the release of "King Kong" (1933), this is what saved RKO from bankruptcy. 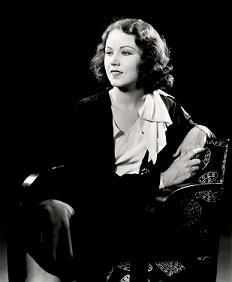 In 1935, Fay Wray became a naturalized citizen of the United States. After "Kong" Wray was put into low-budet action films in the 30's. Her 11-year marriage to John Monk Saunders ended in divorce on December 12, 1939 they had a daughter, Susan Saunders, together. On August 23, 1942 Fay would marry her second husband, Robert Riskin, a writer. Her career was almost over at this time making only a few films in the 1940's. Wray would make a comeback in 1953, playing Natalie Wood's Mother in "The Pride of the Family" (1953) TV Series. She would appear in more mature roles in films and television throughout the 1960's. On September 20, 1955, Robert Riskin, Wray's second husband died. They had 2 children together, a son, Robert Riskin Jr and a daughter Victoria Riskin. On August 06, 1971 Fay would marry Dr Sanford (Sandy) Rothenberg (he was a brain surgeon). Wray's las film was a made-for-television film called "Gideon's Trumpet" (1980) (a Hallmark Hall of Fame Film). In 1988 Fay Wray's autobiography "On the Other Hand" was published. On January 18, 1991, Wray's Third Husband, Dr Sanford (Sandy) Rothenberg, died. Later that same year Wray was the guest of honor at the 60th birthday of the Empire State Building in New York City. In 1998, on the "70th Annual Academy Awards" a clip of "King Kong" (1933) was introduced by host Billy Crystal. During the clip Crystal came offstage and stood beside Fay Wray, who was in attendance of the event. As the clip ended and the light came up Crystal introduced her as the "Beauty who charmed the Beast, the Legendary Fay Wray". Fay was caught off guard not noticing that Billy Crystal had came down during the clip, she rose rose from her seat to rapturous applause and waved. Billy Crystal gently teased her that she was on "This Is Your Life" (1952) and thanked her for being a part of the evening. Miss Wray smiled with gratitude. 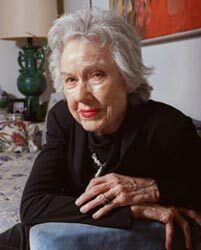 In January 2003, Wray (now 95-years old) was awarded the "Legend in Film" Award at the Palm Beach International Film Festival when she appeared there in person. Fay Wray became friends with Peter Jackson who was a major fan of hers. While he was developing remake of "King Kong". Wray had gotten to meat Naomi Watts who would play "Ann Darrow" in the 2005 film and approved of her for the part. Peter Jackson wanted Fay to say the closing lines of his remake but unfortunatly Fay Wray passed away before it could happen. 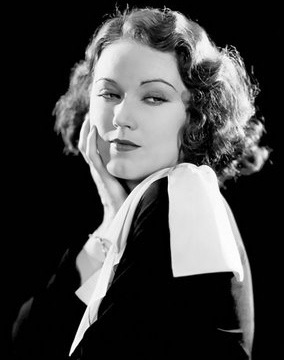 Fay Wray passed away quietly of natural causes at the age of 96 in her apartment in Manhattan on Sunday Evening August 8, 2004 of Natural Causes. On August 10, 2004 (2 days after her death) the lights on the Empire State Building in New York City were dimmed for 15 minutes in her memory. 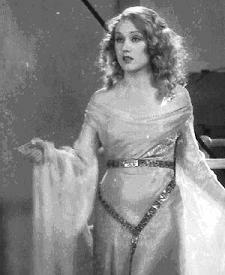 Fay Wray was a wonderful actress and she never really got the chance to show her abilities, but what we do have of hers is just wonderful to watch. SHe will always be one of the the great actresses in my opinion. On the main street of her birthplace, Cardston, Alberta, Canada, there is the "Fay Wray Fountain." On June 5, 2005 she received a star posthumously on Canada's Walk of Fame in Toronto. On May 22, 2006 Canadian Post issued four 51¢ Canadian commemorative postage stamps honoring "Canadians in Hollywood", Fay Wray was one of the the four the others honored in this set were John Candy, Lorne Greene, and Mary Pickford. This is the first four entertainers to ever be honored by Canadian Post on Stamps. Wray is referenced twice in "The Rocky Horror Picture Show" (1975). During the floorshow, Frank says, "Whatever happened to Fay Wray/that delicate, satin-draped frame/as it clung to her thigh, how I started to cry/cause I wanted to be dressed just the same" and again in the opening song "then something went wrong/for Fay Wray and King Kong/they got caught in a celluloid jam". Fay Wray was buried at at Hollywood Forever Cemetery, in Hollywood, California. 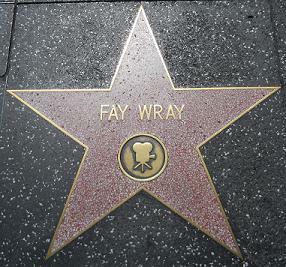 Fay Wray has a star on the Hollywood Walk of Fame at 6349 Hollywood Blvd.